Cost to remove solar panels to replace roof varies greatly by region (and even by zip code). Get free estimates from solar energy contractors in your city. Cost to remove solar panels to replace roof varies greatly by region (and even by zip code). The average cost of removing solar panels to replace roof is around $2,000 - $3,000. How much does it cost to remove solar panels to replace roof? Solar panels provide affordable electricity for many homes. This energy source is popular today and provides an efficient source of reliable, renewable, and clean energy because these systems generate their own power. But adding solar panels to your home’s roof means higher maintenance costs because the panels must first be removed before replacing your roof. The average cost of removing 14 to 16 solar panels for a 1,500-square-foot roof is around $2,000 to $3,000. It is vital to check a roof from time to time, especially if you want to avoid a cold, uncomfortable, and leaky home. Diagnosis can help with the early detection of roofing issues before they get out-of-hand. If your roof shows any of the following signs, it may be time to replace it. 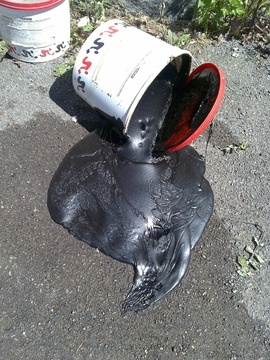 Older than 25 years: An asphalt 1 shingle 2 roof starts to deteriorate after 20 to 30 years. If your roof is more than 40 years old, the chances of problems increase even if it appears in good shape. Cupping or curling shingles: Shingle warping falls into two categories. The first is cupping, which means the shingles’ edges turn upward and form a concave “cup” shape. The second is curling where the shingles’ edges turn under. The center of curled shingles may remain flat or buckle in the center. Both indicate a strong possibility of water leakage or buildup. Depending on the level of warping, you have a span of 1 to 5 years before replacing the roof. Missing shingles: Replacing only a few shingles can solve the problem. However, it is virtually impossible to match the older shingles to new ones because the color fades over time. Patching may work, but the entire roof will eventually need replacing. Cracking shingles: Shingles can crack because of strong winds. However, if the cracking appears randomly in different areas of the roof, it may be time to fully replace it. Missing granules: Manufacturers add granules to roofing shingles to prevent damage from excess sun exposure and make the roof more fire-resistant. If the granules disappear, it may be a serious problem. Moss or algae growth: Formation of algae or moss on a roof is often caused by moist conditions, overhanging tree limbs, or poor maintenance. It is best to clean your roof regularly to remove any accumulated debris or growth. Improperly cleaning a roof may cause significant damage, so we advise hiring a professional for roof cleaning. Visible sunlight in the attic: A serious problem exists if you see sunlight peeking through the roof into your attic or top floor. If sunrays can enter your house, so can rain, cold, and snow. Patch or replace the shingles as soon as possible to avoid internal damage to your home. Sagging roof: A sagging roof signals structural damage because of a problem with the attic decking or the house’s foundation. Address these problems with a professional as soon as possible to avoid further damage. Removing a roof is best undertaken by a licensed and certified roofing professional. First, the contractor disconnects the solar system from the breakers and any metering appliance, including grid interconnection, and then, the individual panels are detached from their micro-inverters as well as the strings 3 from the single inverter. Once all the parts are disconnected, the solar panels are removed from the rooftop mounting hardware and carefully lowered to the ground. Mounting hardware, electrical cables, and wires are then removed from the roof. Location: Most solar panel installations are on the rooftop, but others are on the ground or at the side of the home. Contractors may require additional hours or extra laborers for more difficult locations. Roof pitch: The steeper your roof, the more time and labor required in removing the solar panels. Size: A larger array of solar panel systems takes more time for removal. When replacing a roof, the mounting hardware also must be removed, and this cost is not included in removing the solar panels. Expect to pay an additional $800. While solar panels do not weigh much, they contain hundreds of sensitive electrical connections and circuits that can be easily damaged if not handled properly. Panels removed from the roof require a safe storage place to avoid any damage. The process contractors take is designed to protect your property and panels while ensuring that your solar system works as designed once reinstalled. After all the panels are removed and racked, they are safely bundled and stored onsite. If there is no appropriate storage location at the property, contractors offer an option to transport and store the panels, racking, and all related hardware offsite at their warehouse for an additional cost. The average cost of shipment and off-site storage is around $250. Many people opt to clean their solar panels before reinstalling them. The average cost of cleaning a 3kW system with 20 panels is $300 to $430. Many solar installation companies do not provide roofing services, although exceptions exist. Some companies offer solar cells integrated into roofing materials and a lease that avoids paying the upfront cost of installing the panels. When the solar installation is paired with roof replacement, the solar panels increase the life of the portion of the roof that they cover. Another benefit of going for solar installation and roof replacement together is with a new roof, it is highly unlikely that you will need a roof replacement during the lifetime of the installed solar system. Many companies offer warranty coverage for your roof where the panels are located. The warranty has a minimum duration of 10 years but varies from company to company. At the time of installation and before a contract is signed, confirm with the installation company whether they offer a warranty for the roof and what is the duration of that warranty. 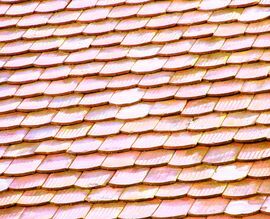 Solar roofing tiles are increasing in popularity for aesthetic reasons. Shingles are thin and lie flat on the roof. They appear more like a standard rooftop and save time and money because they require only one installation crew and a single product for solar energy production and roofing. Solar systems and related electrical equipment are complicated and require proper handling to prevent damage and costly future repairs. 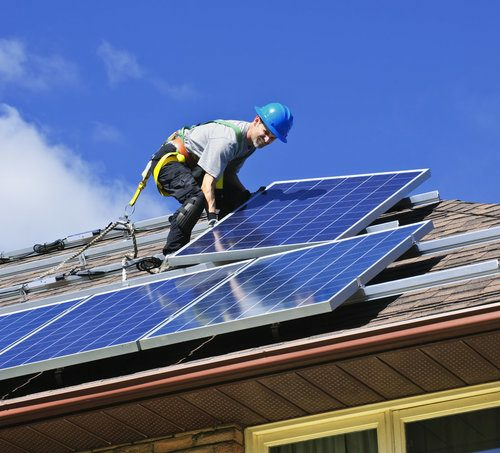 Only a certified professional can legally perform the electrical disconnects associated with solar panel removal or reinstallation. Furthermore, a licensed contractor will remove the solar panels and reattach them safely to prevent damage. DIY solar panel removal is a daunting and risky task that requires expertise, skills, and potential certifications to do the job properly. You are responsible for anything that goes wrong. We do not recommend performing this task yourself. How much does it cost to detach and reset solar panels? On an average, the cost to remove 14 to 16 solar panels ranges from $2,000 to $3,000. This does not include the cost required to replace or repair the roof. Will a solar company replace my roof? Can I remove my solar panels? Yes, you can remove the solar panels by following certain precautionary measures like turning off the circuit breakers, which absorb electricity from your solar panels, and locking them into the “Off” position. However, it is advisable to have your solar panels removed by professional solar contractors because they carry insurance that covers any damage that may occur. Do solar panels void the roof warranty? Does removing solar panels damage the roof? 2 Shingle: A smooth, uniform, flat piece of construction material, available in a wide variety of materials and laid in a series of overlapping rows, used to cover the outside of roofs or walls to protect against weather damage and leaks. How much does it cost to remove solar panels to replace roof in my city? Cost to remove solar panels to replace roof varies greatly by region (and even by zip code). To get free estimates from local contractors, please indicate yours.